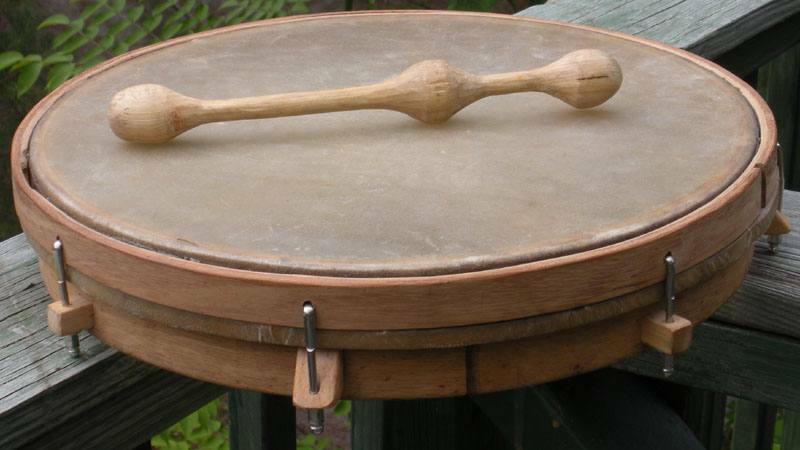 The traditional Celtic drum, made more like a banjo pot than usual because that's what I knew about. Plays like a bodhràn, anyway. Goatskin head, oak hoop and ring, maple hook anchors; beater hand carved from a spruce branch.